For those of you who follow us, you know that Two Apples A Day consists of two elementary teachers, collaborating on one blog. We started this adventure in the same country, at the same school, with the same vision (haha, okay reeling it back). Since then, Jee Young has left Korea and moved to Singapore. Melody (me!) has stayed in Korea, but worked for several international schools. Jee Young was able to come back to South Korea and visit my classroom a couple of years ago and shared her experience here. 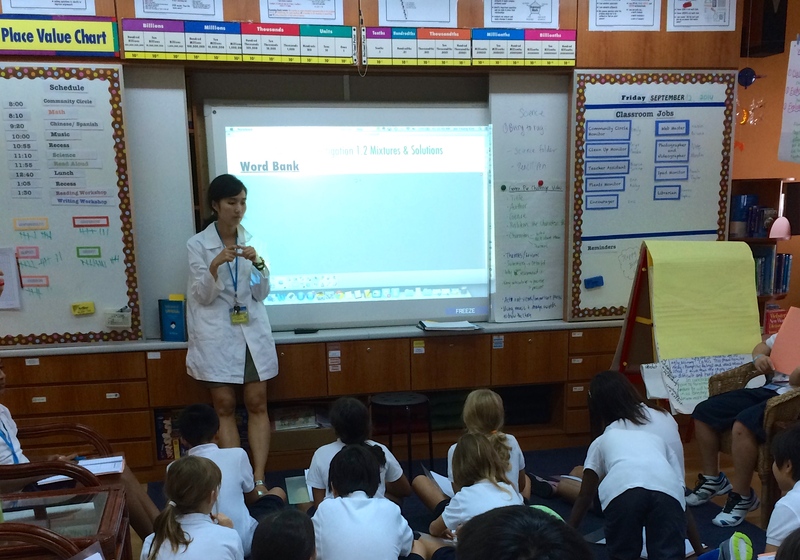 This past fall, I was able to visit Jee Young’s fifth grade classroom in Singapore during one of my holidays. I observed one of her science lessons and took mental notes of things that I thought were so on point. 1. Wear a Lab coat. Jee Young instantly turned scientist when she slipped on her white lab coat. Such a simple thing to do that made a big difference. As an additional bonus to this look could be protective goggles, yes? 2. 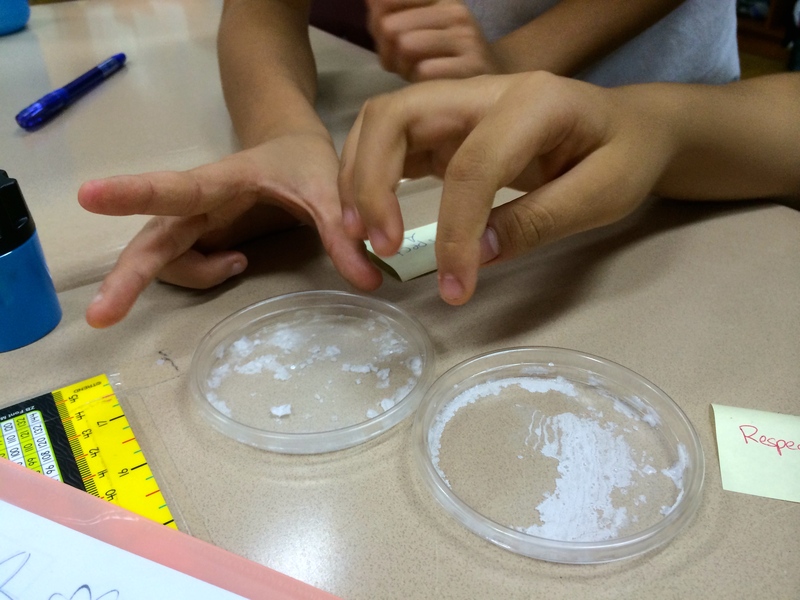 Call your students “Scientists”. Every time she spoke to them as a whole, or to an individual, Jee Young used the term “scientist(s)” and you could tell it made the students take themselves more seriously… they felt like scientists, they were scientists. 3. Use lesson/learning time wisely by setting up routines. 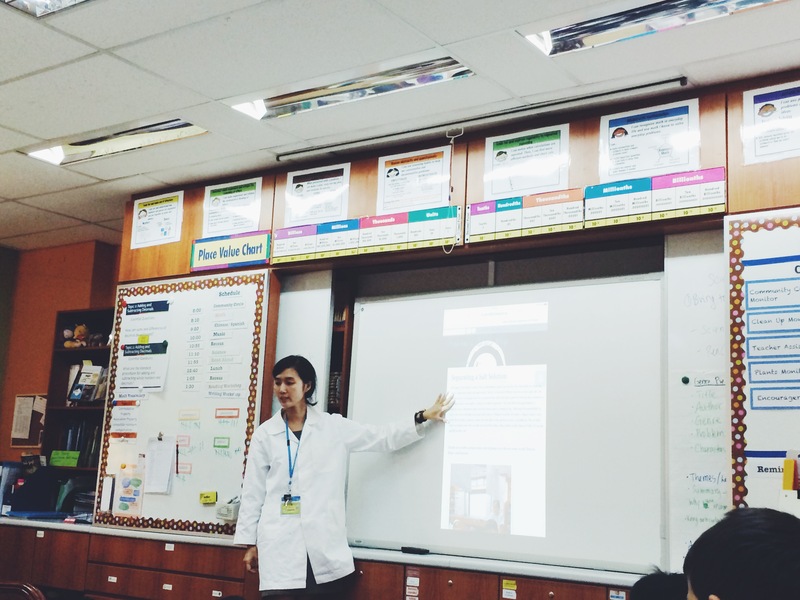 In the course of 45 minutes, Jee Young gave the students their task, had the students observe their experiments and discuss their observations with their small groups, create a post on their blog using their iPads (pictures included! 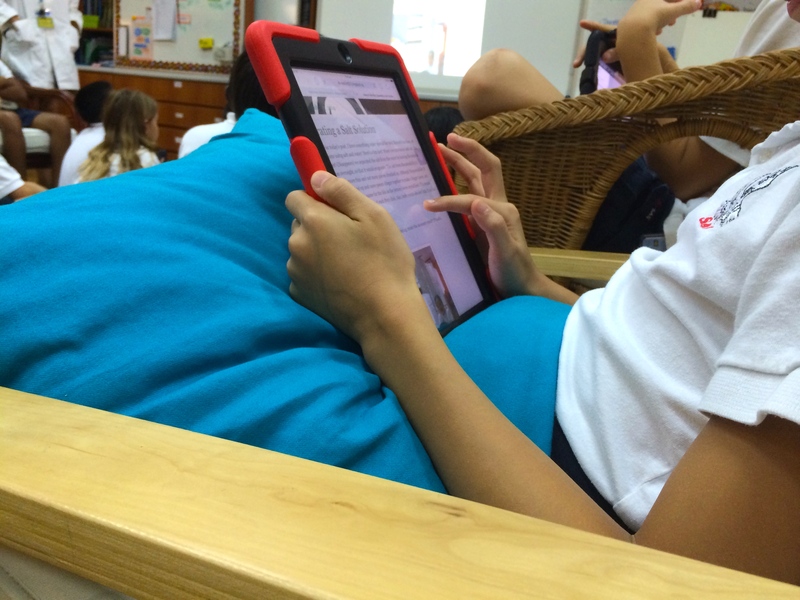 ), and then had a couple of students share a few posts with the class as a whole. While this was happening she moved around to answer questions, mentally made notes of students’ work, and gave instant feedback. It was amazing. Yes, it takes time to set these routines up at the beginning of the year or at the beginning of a unit. But the effort is well worth it. 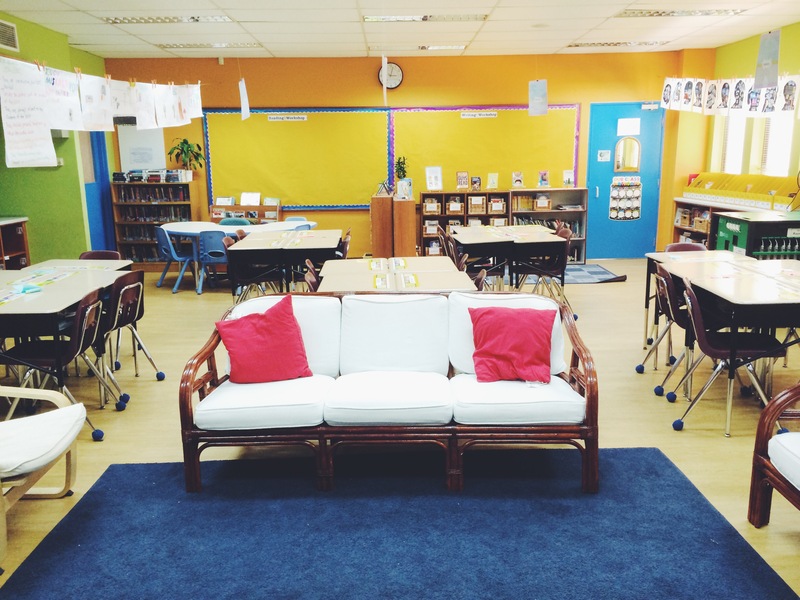 Observing colleagues is a great way to share ideas and grow as a teacher. I know we all get busy, but take the time to do it and you will not regret it. Thank you for welcoming me into your classroom Jee Young, I hope I can come back soon. I love the lab coat idea. I’m going to see if I can get one for myself. Thanks for sharing! You are very welcome Judy! I might look for a lab coat when I go back to the States this summer, it would be a great thrift store find.